We recently got in a CubePro Trio from the folks at 3D Systems and while we’ve still got a lot of testing to do, we’ve started to run it through its paces. It’s definitely a nice looking machine. Professional quality build all around. 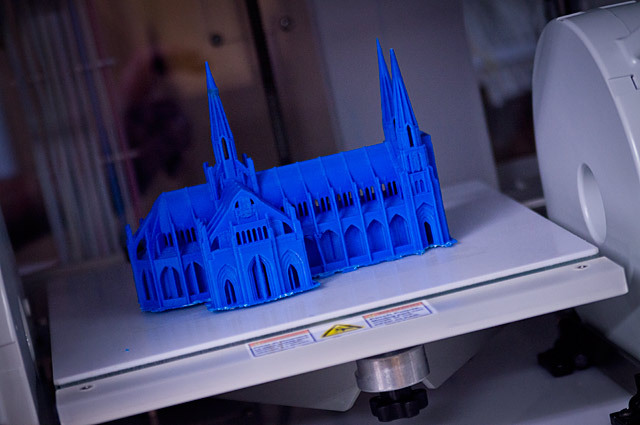 Matt N. spent some time setting it up and hit “print” on a rather challenging model (with tiny spires and everything!) The first print turned out OK, but as with any 3D printer, there’s probably a bit of tweaking (or reading of the manual) to do. 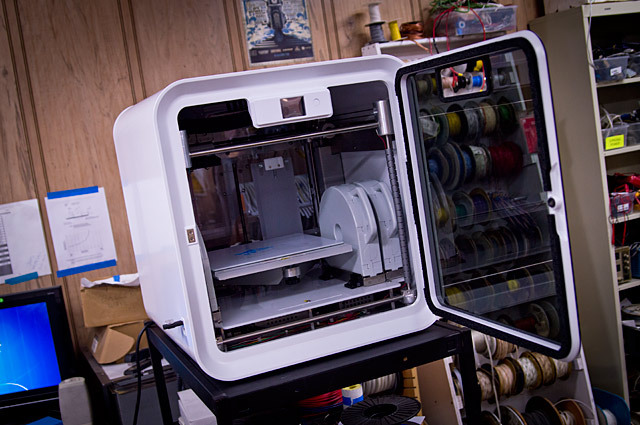 We’re excited to see what our members can do with this machine, and how it compares to the MakerBot, LulzBot, and Solidoodle we currently have in the 3D Printing Lab.